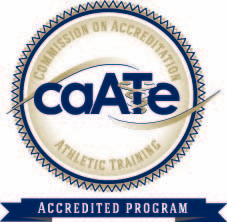 Parkway Central High School has been a valuable experience on my path to becoming a certified athletic trainer. I’m certain once I’m out and working after college that I will look fondly on the skills that I have forged and refined during the last two semesters. 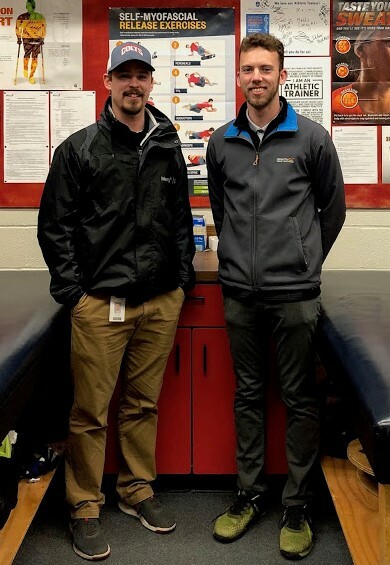 My preceptor and SLU alum Michael Aaron, MAT, ATC, from Mercy Sports Medicine, is very enthusiastic about having an athletic training student. He always considers when and where there may be a learning opportunity to take advantage of, and for that, I am grateful. For the most part, I feel comfortable in the athletic training setting. Performing evaluations, treatment, rehab, and first-aid definitely feels more natural than it did a year ago. So in my perspective, this semester has been more about discovering how I want my athletic training identity to take shape. It’s made me think about how I can be a transformational force in whatever setting I choose to be in. I often tend to question more about how I carry myself and if I project a fitting aura of professionalism. All in all, my skills are getting to be more second nature, and now it’s my persona that needs fine-tuning. Parkway Central staff and athletes have been appreciative and accommodating of me, and I cannot thank them enough for their support. I look forward to finishing out the year with the Colts!